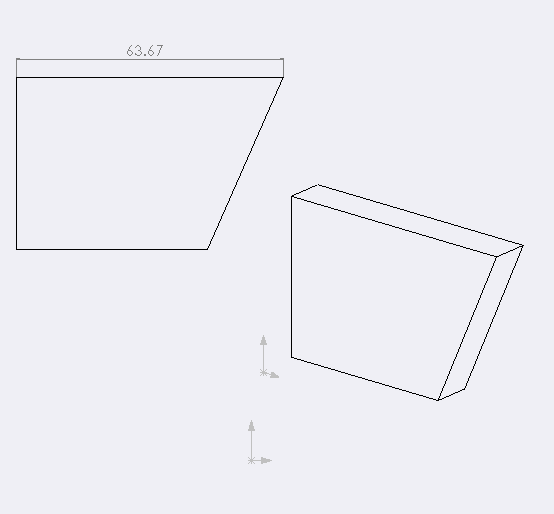 This example demonstrates how to add a linear dimension to the longest edge in the selected drawing view using SOLIDWORKS API. This macro is traversing all visible entities in the drawing view, calculates the length of the edge and finds the longest one. Macro will only work if the longest edge can be dimensioned (i.e. it is either linear or circular edge). The entities returned from IView::GetVisibleEntities are already in the drawing view context and they could be selected directly via IEntity::Select4 SOLIDWORKS API method and it is not required to call the IView::SelectEntity function. Location of the dimension is calculated by offsetting the middle point of the dimensioned edge in the normal curve direction (cross product of the tangent direction and the sheet Z axis) by 20% of the edge length. Unlike drawing in sheet context, drawing sheet scale is not required to be multiplied to the view transformation matrix when positioning the dimensions. Err.Raise vbError, "", "Failed to find the longest edge"